Linda Davies’ first novel, Nest of Vipers, has been published in more than thirty countries, selling over two million copies. She is also a winner of the Philip Geddes Prize for journalism. 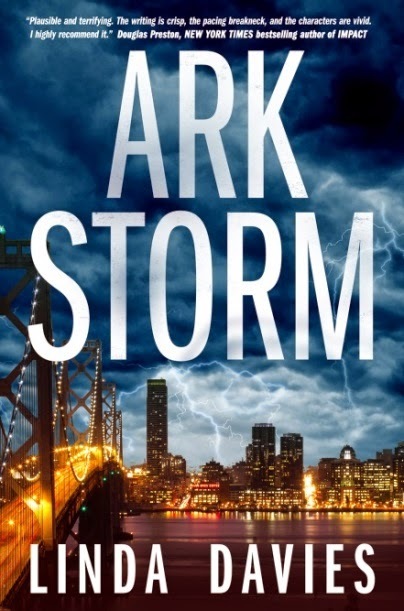 Her latest novel is ARK STORM (A Forge Hardcover; $25.99; August 19, 2014), a stylishly written thriller that tackles the relationship between high finance and extreme weather events. ARK STORM brings together the worlds of finance, scientific innovation, and terrorism in a fast-paced thrill ride that will leave readers gasping. It was the summer of 2010. I was living in Dubai, and I had read that dramatically heavy rains were falling in the deserts of neighbouring El Ain in the United Arab Emirates. The historical average number of rainfall events for June through September is two. The National Weather Service forecasted zero rain events over that period. But it did rain. On fifty-two separate occasions. And it hailed and galed and thundered. It made the international news. There were rumors of masts in the desert, of scientists and computer models, and it sounded like something out of a James Bond movie. And then I read an article which explained what had been going on. It was the work of scientists. Technicians were mounting ionizers on masts, producing electrons which attached to dust particles in the atmosphere. These dust particles rose by convection until they reached the right height for cloud formation where they attracted water molecules floating in the air. Those molecules then started to condense around them. Billions of droplets of rain formed and fell…. So far, so Bondian. Then I heard about the latest twist where the ionisers are sent up on drones, which made me think of terrorists, and I had myself a novel. It had all the things I love to write about—science, terrorism, financial shenanigans counterterrorism—and in the midst of it, a wonderful heroine. **No compensation was received for posting. 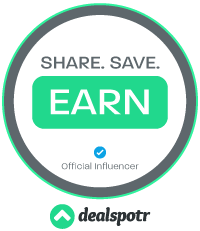 This site is not responsible for the giveaway. I'm scared. Wonder if this one is too technical for me. What do you think, Freda? Unfortunately I have not read it so cannot say for sure. I love it when books have multiple plots and twists going on. I'll surely enjoy this one. Oh wow! This sounds like a twisty, turny adventure that I wouldn't be able to put down. It sounds like a unique story line. Sounds like a book that I would not be able to put down until I was finished (which is my favourite type of book). Thanks for the chance.